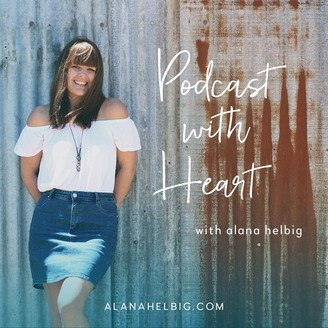 Hosted by Alana Helbig, Podcast with Heart is a podcast for women who podcast. Stories about women who are rocking the podcast mic. How and why they got started, their stumbling blocks, big lessons and top-secret podcasting secrets. Join the Podcast With Heart Facebook group, a community of vibrant women podcasters. Introduce yourself, ask questions and get the help and support you need. You don’t have to do this podcasting gig alone > > podcastwithheart.com. Athena Rosette is the creator of the Alter Ego Podcast. Athena has been taking on Alter Egos in her travels, performance life as a Brazilian Samba Performer, and in personal realms. She noticed that these forms of herself all gave her certain abilities and awarenesses she hadn’t yet accessed within her normal state, and quickly led to improved health, happiness, and overall satisfaction in her life. Eventually, the lines began to blur as she took ownership of these different personas. Athena now hosts the Alter Ego Podcast, where she and a new guest each week explore the boundaries of self expression and awareness. + The trap of wanting our first episodes to be ‘perfect’ and why authenticity is WAY more impactful with your audience than perfection. + Really useful tips for protecting the privacy and anonymity of guests who are sharing confidential or very private information on your show. + Libsyn free podcast hosting – head to libsyn.com and add ALANA in the promo field to receive free hosting for the rest of this month and all of next month. If you love this podcast, I would be so grateful if you would take a couple of moments, head over to iTunes and leave a rating and review + subscribe to the podcast while you’re there. 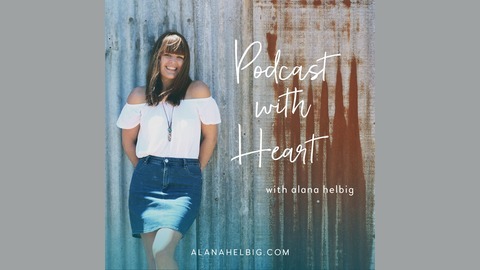 You can subscribe to Podcast with Heart so you never miss an episode.